The reCaptcha system refers to Google “No CAPTCHA reCAPTCHA”. In order to work correctly, it requires two things: reCaptcha site key and reCaptcha secret key. Follow these instructions to configure the reCaptcha correctly. First of all, register an account on Google, in case you did not have one yet, go to Google reCaptcha page and click on the button Get reCAPTCHA. 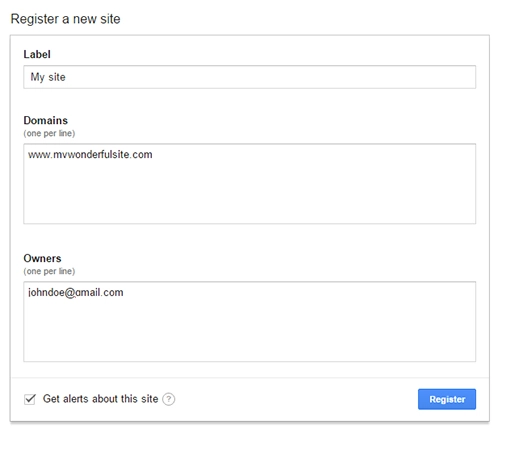 Once logged into your Google account, register a new site for the application and add the required data. Labels: identifying labels of the reCaptcha you are activating. Domains: list of all domains where Google reCaptcha system has been activated. Owners: email addresses of all users, except yours, that can access reCaptcha system settings that you are now registering. Once entered all data and clicked on “Register”, you will be redirected to a new page, where you will find all data required for the plugin. Once entered the data into “Site Key” and “Secret Key” in the plugin option panel, enable reCaptcha. 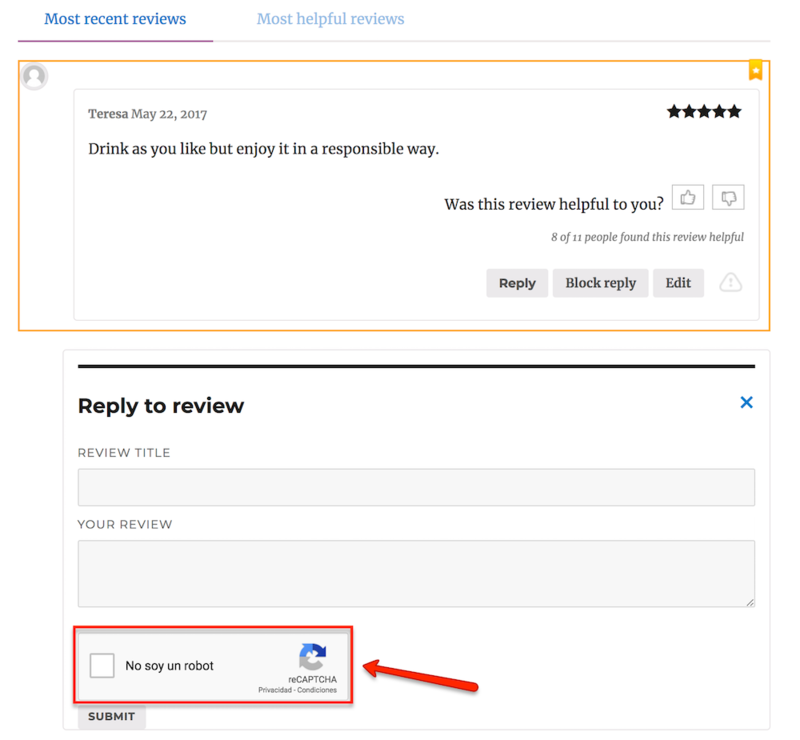 From now on, anyone that wants to write or react to a review, will have to prove they are no robot. reCaptcha message error: Message that will be shown when you do not check the box.